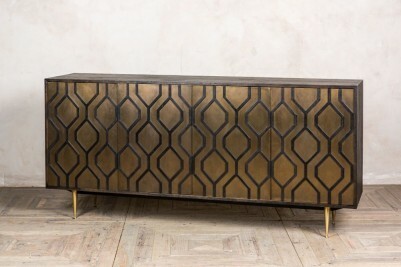 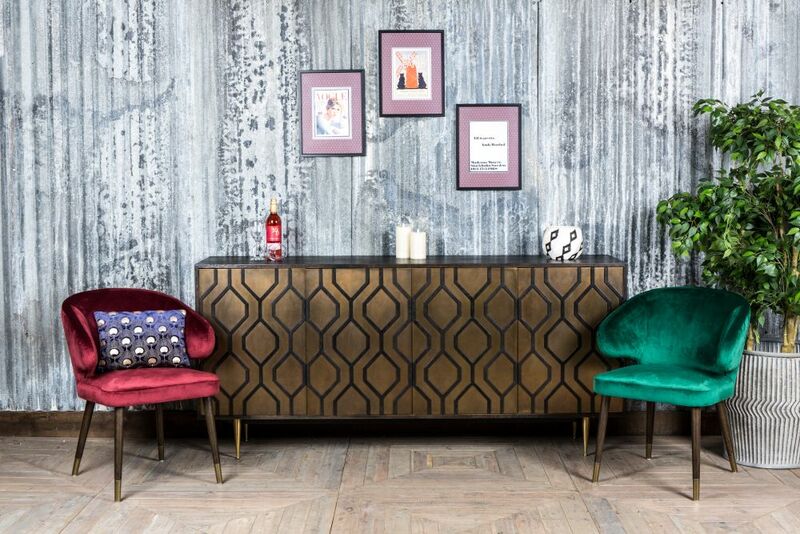 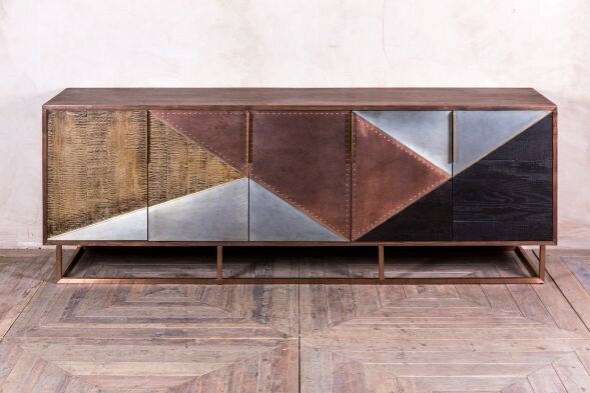 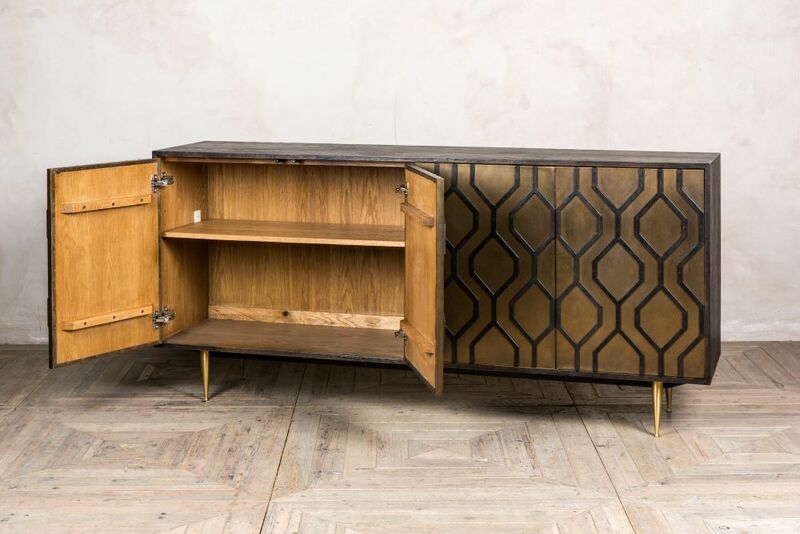 Make a statement with the ‘Haymarket’ mid-century style sideboard. 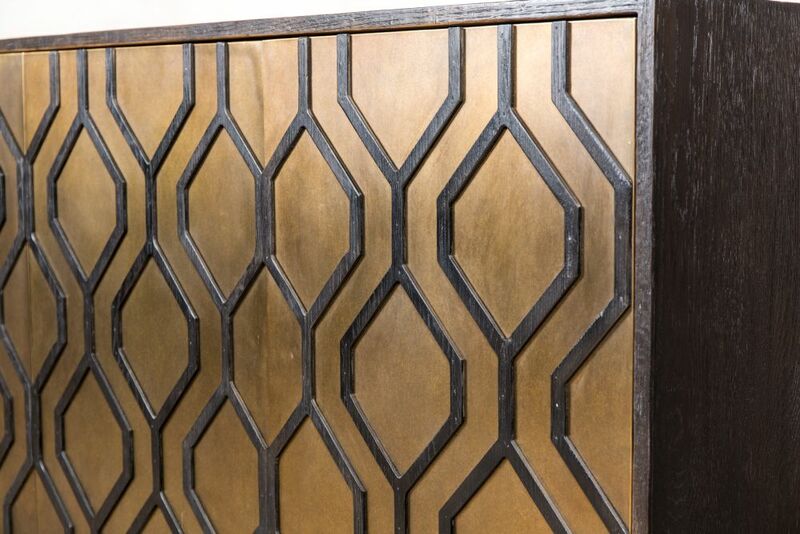 Its dark oak patterned exterior gives it a striking appearance that will make it a great focal point for any room. 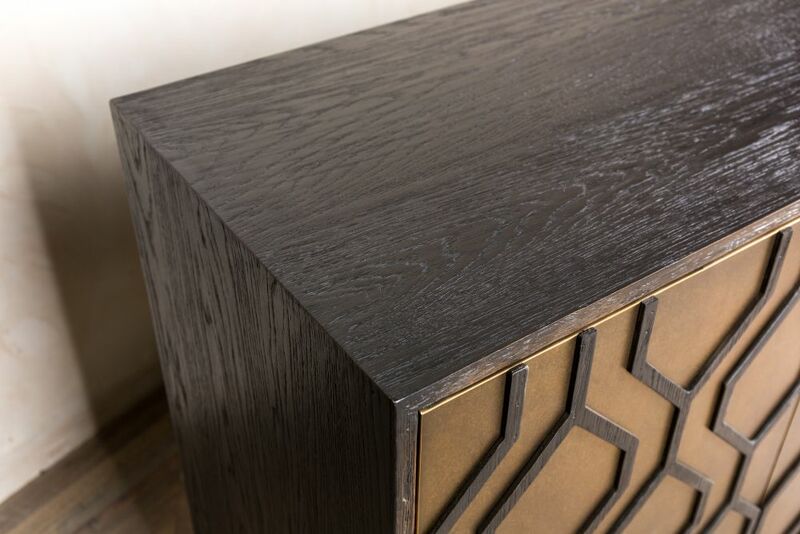 The exterior of the sideboard is dark oak, whilst the doors are brass fronted and decorated with an eye-catching symmetrical design. 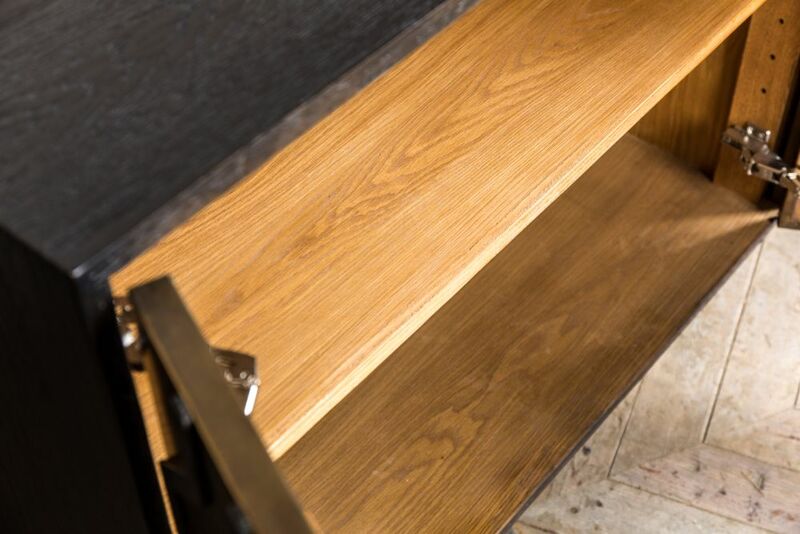 The doors are push-to-open and have magnetic catches, and open to reveal the light oak interior. 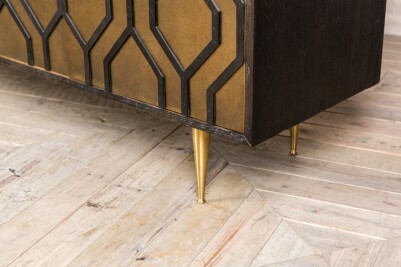 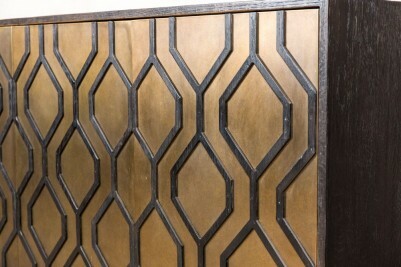 The sideboard’s legs are made from brass. 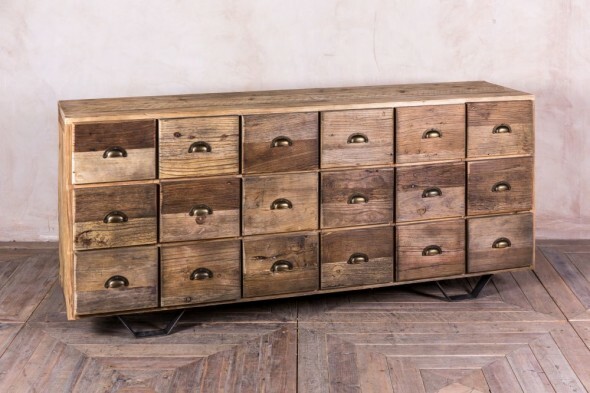 The ‘Haymarket’ would be well suited to any large space, be it in a home, bar, or restaurant. 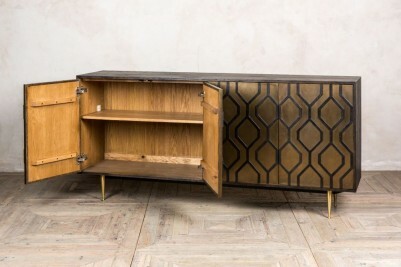 It would pair well with the burnt oak of the X-frame bookshelf and 'St. 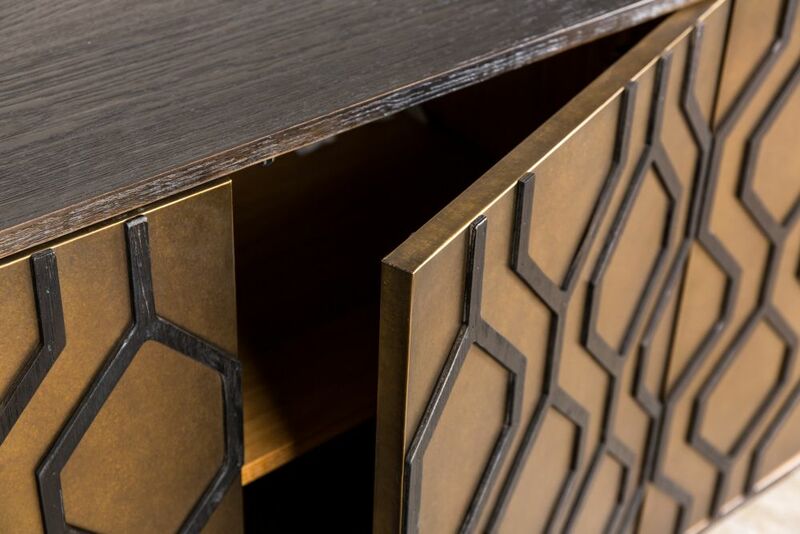 Omer' dining table. 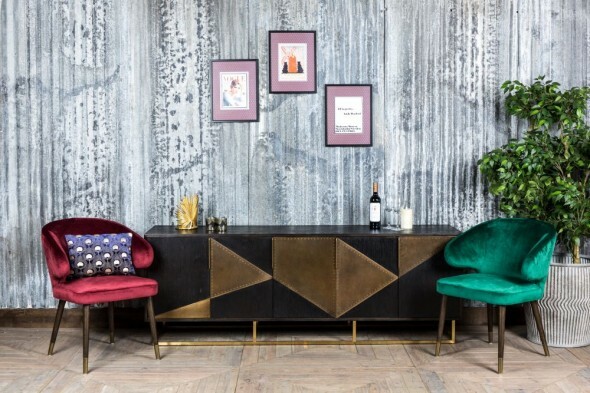 Please note that other items pictured are not included in the price, although the 'Lorient' chairs can be purchased separately.